VANCOUVER, B.C. - January 17th, 2019 - YDX Innovation Corp (TSX-V:YDX; OTC:YDRMF; FSE:A2AP0L) ("YDreams" or the "Company") is pleased to announce that effective January 17, 2019 it will be changing its name to "YDX Innovation Corp". The company's new website will be www.ydxinnovation.com and the common shares of the company will commence trading under the new name on the TSX Venture Exchange with the new trading symbol "YDX" at the opening of trading on January 17, 2019. The change was necessary due to an increased interest in creating new ventures that have the potential of working as independent business units such as Arkave VR and YDreams Global. YDreams Global will continue to operate as per usual as one of the most innovative digital agencies in the world and will be a sister company to Arkave VR. Both companies are wholly-owned by YDX and will continue to grow in unison, with collaboration between the two teams and their technologies, giving both a competitive edge. The Company would also like to announce the creation of a third initiative in its organization. Game On Festival is a new event, conceptualized and designed by the Company to appeal to the growing demand for eSports and gaming events. Game On Festival combines the expertise of digital storytelling that made the YDreams brand famous with a new format of eSports tournaments for North America. 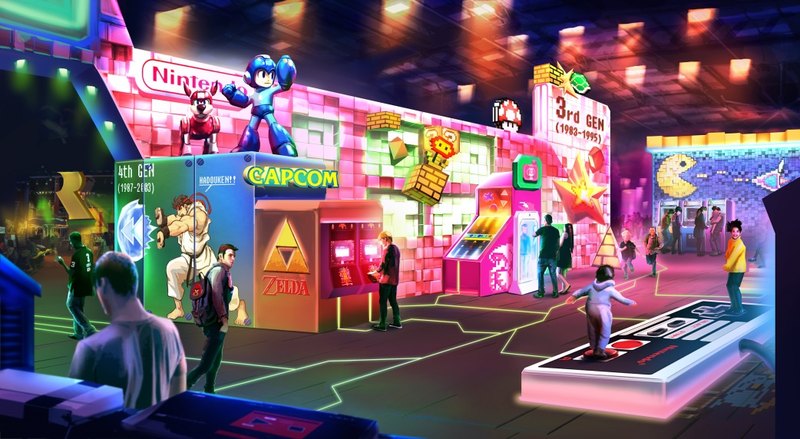 An Interactive Exhibition about the history of Videogames will be the main attraction, offering various immersive experiences for fans of all eras of gaming. "With the immense interest in professional gaming and eSports, we see an opportunity to create something relevant for this large demographic group, those who play regularly and always wondered how they would do in a professional competition." - stated Daniel Japiassu, CEO of the now YDX. Karina Israel, COO of YDX stated: "It was amazing to see how passionate the players are about not only the games, but also the professional gamers. They are the heroes, the rock stars of this generation. It's important for them to understand what is involved to have a realistic and healthy approach to the world of professional eSports." About the change to YDX, Daniel Japiassu commented: "The name YDreams Global is known as an industry leader for creating highly innovative virtual and augmented reality marketing solutions for big brands. This recognition took years to accomplish and came from delivering unique solutions to clients such as Coca-Cola, Cisco and Hyundai. However, the Company is expanding, it is multiplying, that's what the X represents. We are going to continue this path of innovation with the focus on products that are sustainable and have the potential for exponential growth. We are excited by the growth we have experienced and believe the new name will be well received and our shareholders will support us in making the YDX brand a success." Daniel Japiassu, CEO of YDX will attend the AlphaNorth Capital Events in Nassau this weekend and would like to invite those present to stop by the booth and hear more about the plans for 2019.